Width (side to side) 72.13"
Height (bottom to top) 35.88"
Depth (front to back) 16.13"
Case Construction constructed with Acacia veneer over engineered wood and mixed solid wood. 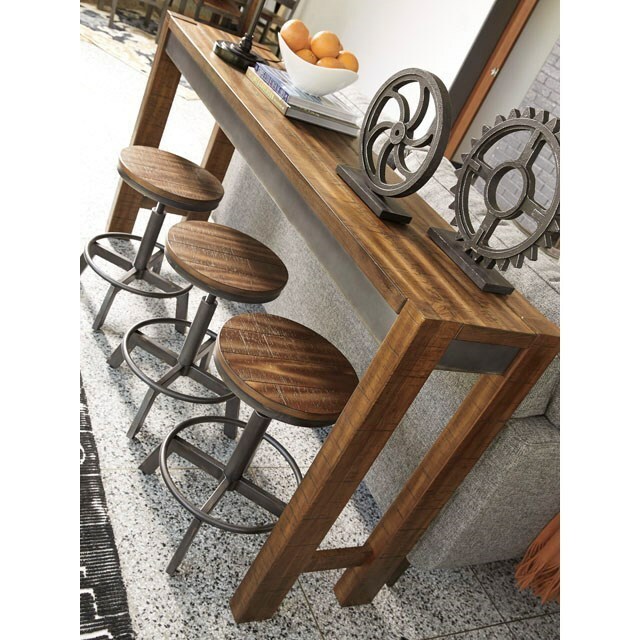 The mixed materials that give this long counter table its rustic, industrial style, are constructed from Acacia veneer over engineered and mixed solid wood, and metal. 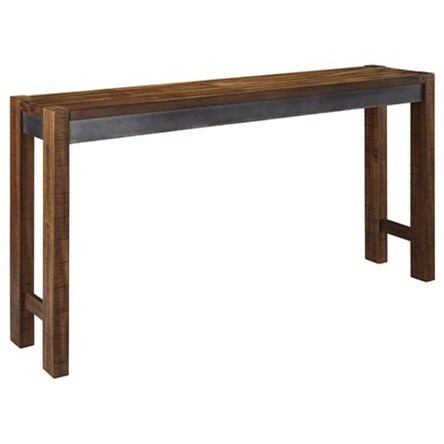 This table has a two-tone finish, the wood has a distressed light rum color and the framing on the table has a gunmetal look. 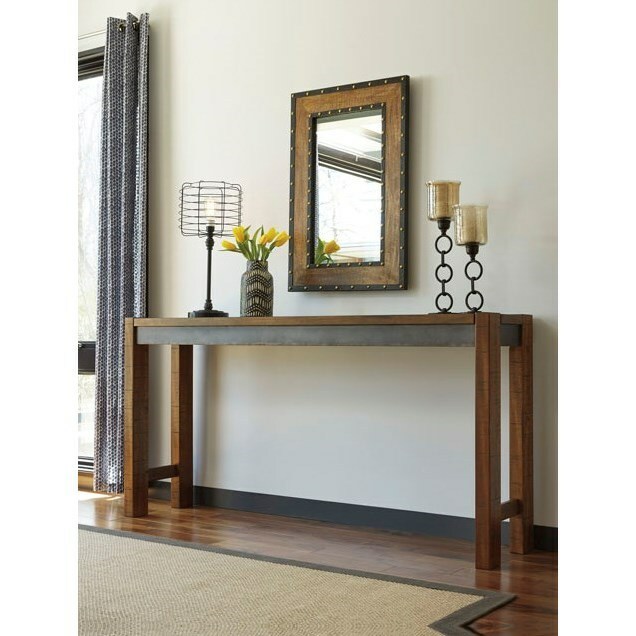 A perfect space for working or eating, this versatile long counter table could be featured in your living room, kitchen, dining room, hallway, and more. 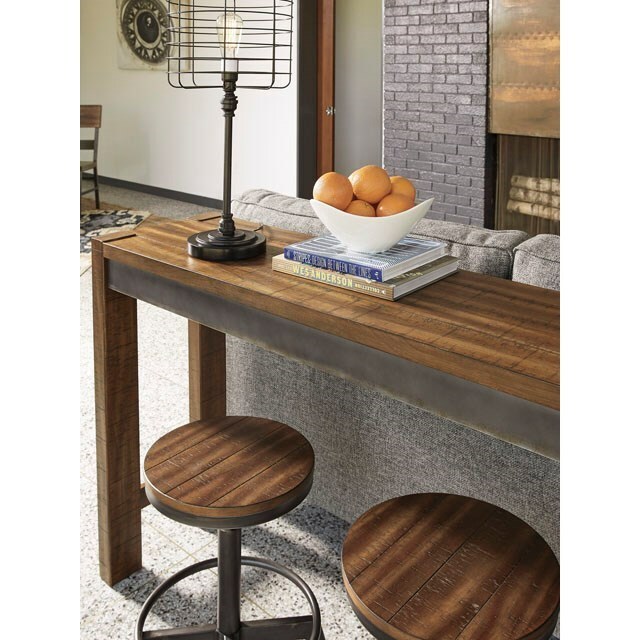 The industrial style makes this table a mix of masculine and feminine, that is perfect for any home.